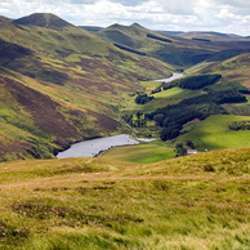 You must be a member of the Edinburgh Outdoor and Adventure Group to attend this activity. Would you like to join this group? An end of January walk through the Pentlands. We will start at the Ski-village (I will drive there - I have space for four in the car) and take a circular route stopping off for lunch at the viewing point. Please remember to wear suitable clothing - it will be around 3 degrees, maybe 5 but on the plus side - the sun will be out so it will be a fantastic day :-) . If you have walking/trekking boots, they would be great to wear. Please bring sandwiches and a hot drink - we can eat out on the hillside with a view across Edinburgh. You are welcome to drive there yourself or to catch a bus to the Ski-Village - the bus number is 15 or Protected content Usher Hall. We can end the day at the ski village with hot chocolate and cakes watching some of the lessons and perhaps having an idea for a February trip.